ABU DHABI – Thursday 20th January 2011 – More than 80 major exhibitors have confirmed their attendance at the inaugural NAVDEX (Naval Defence Exhibition), which will be held in parallel with IDEX, the region’s leading defence and security show, at the Abu Dhabi National Exhibition Centre from 20th – 24th February 2011, under the patronage of of His Highness Sheikh Khalifa Bin Zayed Al Nahyan, President of the UAE. Visitors to NAVDEX can expect to see the latest in naval defence technology with exhibits of warships, naval workboats and amphibious crafts, combat equipment, coastal security systems and sea-to-shore communication solutions. The event will also feature a number of international naval vessels berthed alongside the ADNEC marina and daily live on-water demonstrations. Major global manufacturers and suppliers at NAVDEX include Raytheon Co., Quantum Marine, Skydex Technologies Inc., L-3, L-3 Nautronix, L-3 MAPPS, L-3 Valmarine, OSI Geospatial, Thordon Bearings, DCNS, MBDA, Proengin, L-3 ELAC, Brahmos Aerospace, Elettronica S.p.A., Fincantieri, Finmeccanica, MES S.p.A., Vestdavit AS, Russian Technologies State Corporation, Vympel Shipyard JSC, JSC United Shipbuilding Corporation, Navantia, Rodman Polyships S.A.U. and Geobrugg AG. In 2010, Arabian Gulf nations and Western Indian Ocean regional countries invested an estimated US$ 6bn in naval and military defence technologies and services according to advisory Jane’s DS Forecast. The region’s total naval spending in the 2010 - 2019 period is projected to reach US$ 76b, with the largest market, India, projected to contribute nearly 65 per cent of spending. The United Arab Emirates (UAE), Pakistan and Saudi Arabia are expected to jointly account for another 20 per cent of the market. 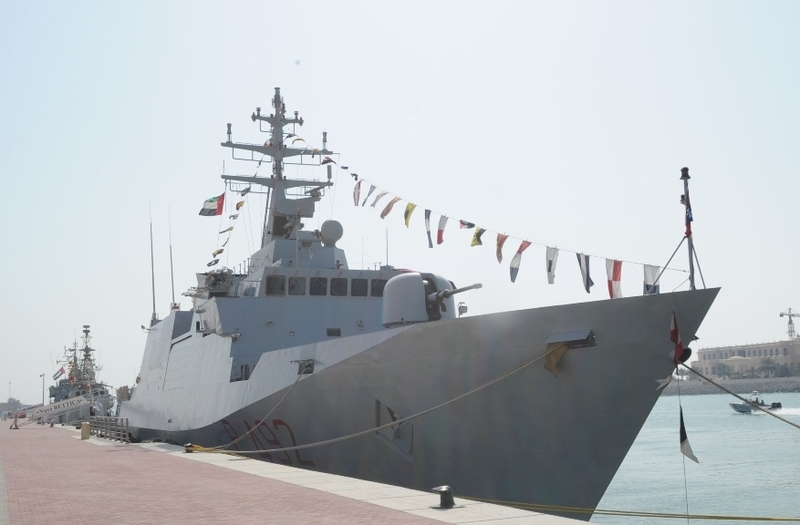 “The demand for naval defence equipment and technology in the region is growing exponentially and it is therefore no surprise that NAVDEX has attracted leading defence contractors to the inaugural event,” said Mohamed Al Mashgouni, IDEX and NAVDEX Show Director. Middle East exhibitors include Abu Dhabi Mar, Abu Dhabi Ship Building, Abu Dhabi Systems Integration, Elcome International L.L.C., Exalto Emirates, Gulf Logistics & Naval Support, Ocean Power International LLC and Solas Marine Services Group of Co. (Stellar Composites). NAVDEX organised by Clarion Events Middle East on behalf of the Abu Dhabi National Exhibitions Company (ADNEC) in association with the UAE Armed Forces, looks set to become the region’s largest and leading Naval Defence Exhibition.